Most voice teachers and singers still prefer the pianistic, wonderfully gratifying arrangements of this early Italian material made by Alessandro Parisotti in the 1880s. 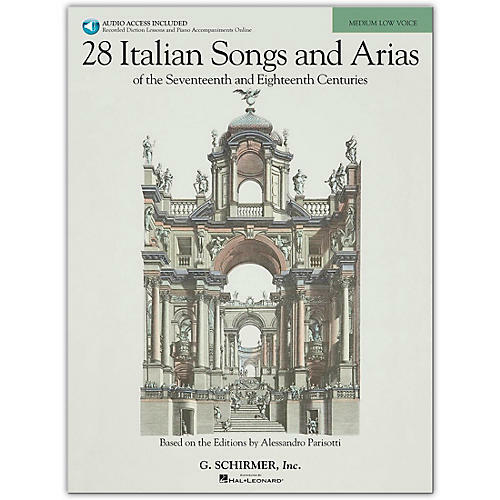 This new edition, newly researched and engraved, includes the original Schirmer 24 plus four additional songs: Sento nel core (A. Scarlatti), O leggiadri occhi belli (anonymous), Intorno all'idol mio (Cesti), Delizie contente, che l'alma beate (Cavalli). With IPA, word for word translations, and historical information on each song and composer. The Online Audio includes piano accompaniments and recorded pronunciation lessons.